If you need a 200mb syquest disk file transfer service, then contact our friendly company. Transfer files off 200mb syquest disks to usb cd dvd. 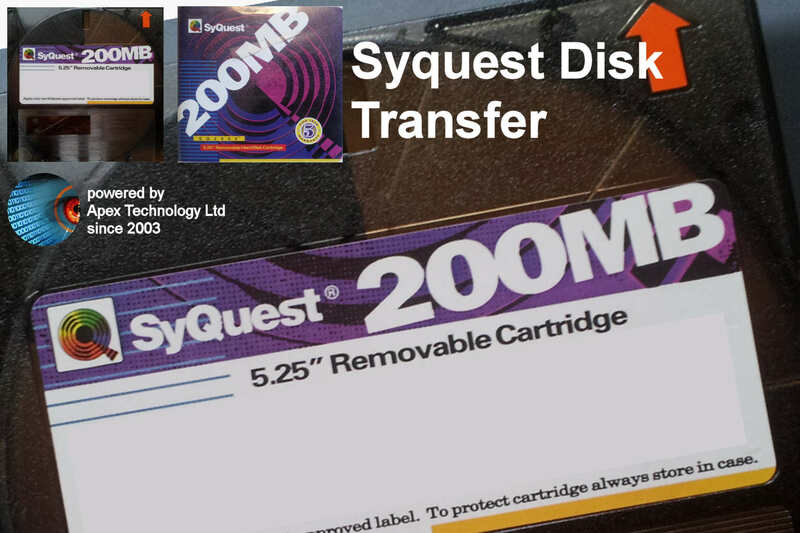 The Syquest 200mb disk is the least popular compared to the 44mb and 88mb disks. It was the last to be introduced but storage capacity of 3.5 inch disks was accelerating and they were more handy to carry than the 5 inch disks.